If there is a contentious subject in mat surfing, it’s which fins to use. There are essentially two main categories of fin; long and short. We’ll give you a bit of info here but just to whet your appetite because there really is only one person who can decide on the best fin for you and that’s you. When picking your fins, you need to consider three important elements; power for kicking around the lineup and catching waves is important, but a major consideration is how well your fins hold onto the face of the wave for traction. Comfort is possibly the most important factor. If your fins hurt or cause cramps then it’s game over! 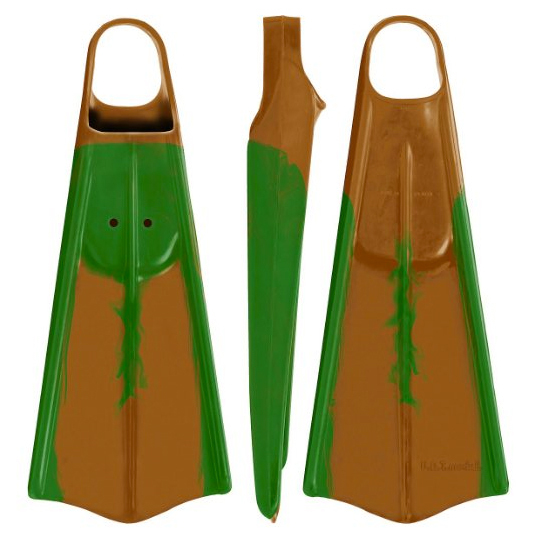 Tall side rails on the top edges of your swimfins are critical for keeping a line on steep faces. Viper V-7s are very good with tremendous kicking speed, although can cause some problems for people with high arches or wide feet. 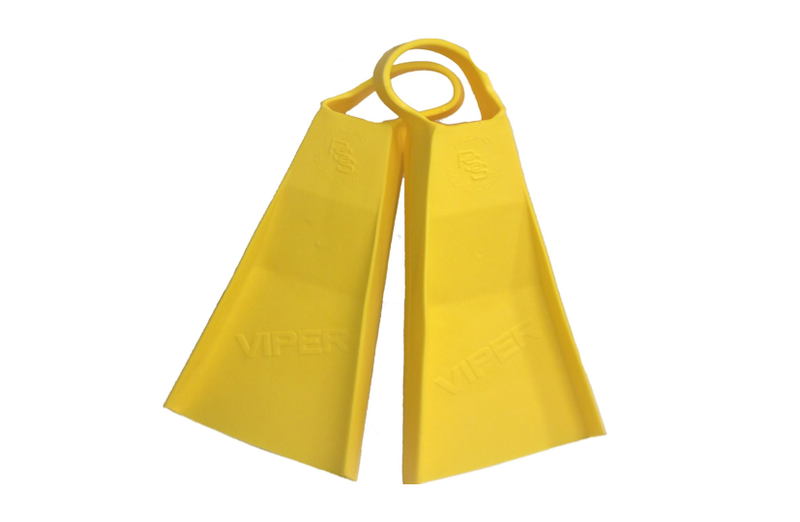 Recently, Viper have released their Vector series with the bright yellow Viper Vector V7 being much softer and more comfortable, although can still cause cramps in the Hobbit-footed. The original Hydro Tech fins (the blue and yellow ones pictured) offer a combination of drive, reasonable hold, and tend to be roomy for those with bigger feet. They can be hard to find these days though. For kicking speed, Voit UDTs rule and offer reasonable side rails for traction. However, traditional UDT’s are very heavy and stiff making them hard on the feet and ankles and often require significant modification. A more accessible option are Voit Duck Feet which still offer very good drive but are more forgiving. Duck Feet are reasonably priced too but hard to get outside the US or Australia meaning postage pushes the price up. Jay Reale’s ebodyboarding.com is a great place to get both with easy international postage options. Many of the UK’s top mat surfers swear by Da Fin, available in our online store, and in terms of hold, these have to be considered contenders for the ideal mat surfing fin with serious side rails (or strakes) which almost count as skegs! They also give decent drive and are super light with a soft, comfortable foot pocket. DaFin can be a a bit narrow so if you have wide feet, we would recommend buying a size bigger and padding out the heel strap. DaFin Fin Savers (available in our online store) are perfect for this and can be put over other padding to really customize your set up (see picture). There seems to be a real divide between UK and US/Australian mat surfers on this issue with most UK surfers favouring shorter fins. One explanation is that in the UK the lack of long rolling point waves means maneuverability and the ability for a quick burst of speed is the primary requirement. Spending a lot of your time having to negotiate heavy shore breaks is possibly another factor. Ultimately though, it’s all horses for courses so the best fins are the ones that you find best. 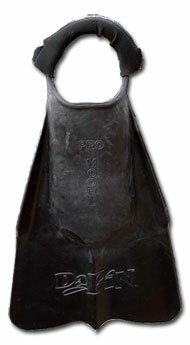 In many ways, mat surfers become more attached to their favourite pair of fins than to their mats and many customize their fins to meet their own needs. Ultimately you’ll find a pair of fins that fit and will love them forever. Good luck finding your true love!